Based on findings from research conducted by the Joseph Rowntree Foundation in 2010-11. It will help community based organisations who are thinking about acquiring or managing a property. Our report Building on Assets goes into more detail about human assets and an asset based approach to community development. 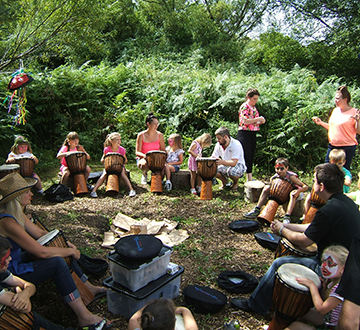 ‘Community assets’ enhance the services that organisations or groups provide in their local area. Most commonly the term describes buildings, but they can also be land, local clubs and facilities, libraries, energy generation facilities, funds, volunteers or members of staff. When successful they enhance the local area improving access to services, training and jobs; providing a space to share ideas and have a say in local issues; strengthening community identity; and making the area more attractive to existing and prospective residents. But they can also present risk and cost and can undermine community aspirations. 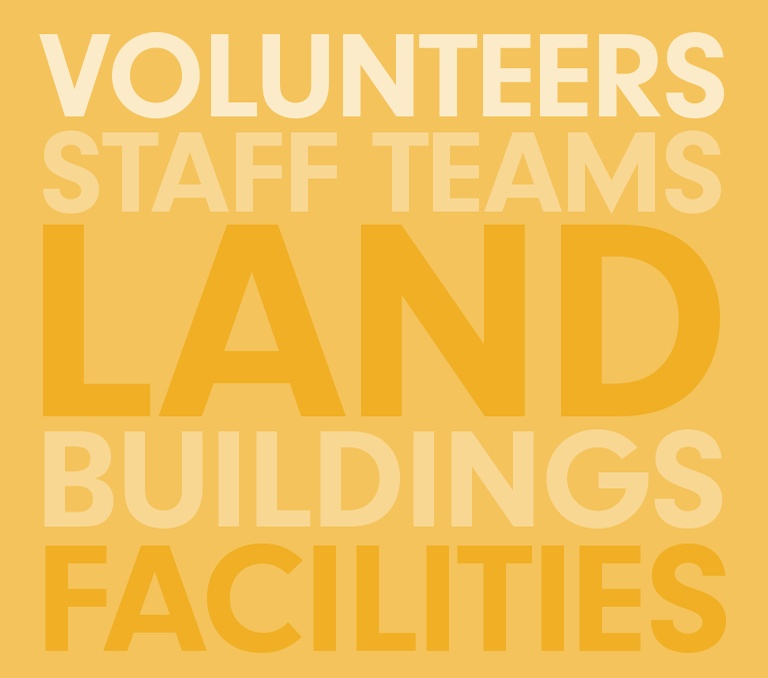 Stewards: Small, mainly volunteer-run groups with a single, long-standing asset (usually a building) used largely for hiring out to local community groups and residents. Community developers: Medium-sized organisations, often with a range of assets, involved in local service delivery and local partnerships. Entrepreneurs: Organisations running larger, more professionally styled social enterprises that might have a mix of assets for social and commercial purposes. Assets are usually acquired by community-based organisations in order to ensure the continuation of existing local services or provide new services to a community. For example, they may take over a local youth or community centre that is being threatened by closure due to the removal of public funds. Assets are also sometimes given as a gift, in response to the threatened loss of a valued facility, or as a legacy from a government neighbourhood regeneration programme. An asset might be a means to an end, by generating rental income from managed workspace or providing a home for the organisation’s activities, or it may be an end in itself, as with a community hall, community-managed housing or renewable energy. Locality have released a report called Place and spaces about the future of community asset ownership. Read more. Gellideg Foundation Group (GFG) is based on a social housing estate just outside the centre of Merthyr Tydfil in Wales. It was founded by six mothers who wanted a better life for their children. It started by acquiring the lease on a block of six flats and the leasehold of a local church hall, and by purchasing two shops on the estate, from which they could run activities. This included a hairdressers and a café that were set up as social enterprises. In 2016/17 they are building a bespoke Wellbeing Centre that will be owned and run by the community and be a resource for other local organisations. The local Housing Association has gifted the land where the new centre will be built. It will be used as the hub for activities and training for local residents including financial budgeting, literacy and numeracy classes, cooking on a budget and a job club. It will include a youth wing – with a music room, training and games area – and an Early Years Unit, as there are currently no premises available for nursery provisions in the area. GFG are giving up or adapting the original assets they acquired in favour of the new Centre as it is more fit for purpose, with lower running costs, improved disability access and able to accommodate the range of activities that they want to provide. However, the acquisition of the original assets provided GFG with the opportunity to establish themselves within the community and test their initiatives, improving and adapting their model over time in order to continue to meet community needs and obtain future funding. GFG has also become a lead body for Communities First – the Welsh neighbourhood renewal programme. It now has tangible assets valued at £181,000 and employs 28 staff. Physical factors: Ensure the asset is fit for purpose. Always get a professional survey and independent advice. Strategic approach: Recognises interdependence with other public, private and voluntary sector organisations and is able to establish effective relationships with other partners, e.g. local authorities. Financial sustainability: Including allowing time for staged growth and development and fit-for-purpose external investment. Effective governance: Clarity of role and function and community buy-in, with adequate democratic control. Capacity and leadership within the community: For example, a history of voluntary and community action. Temporary measures: If an organisation needs time to assemble finance and stakeholder support it may be possible to consider intermediary vehicles or holding structures to take care of the asset in the interim. Alternative models: It might be that the organisation does not need to take full ownership of the asset and could consider alternative arrangements, for example, licence, rental or part-buy mechanisms. Brokerage and technical aid: Provide high quality, long-term brokerage and technical aid. Develop a strategy for streamlining and expanding access to brokerage and other skills. Sign posting: Map support available to community organisations who control or are acquiring assets. Guidance and tools: Ensure that the relevant guidance and support is available for communities to be able to assess the suitability of an asset and reasonably estimate any maintenance and repair costs. Mapping: Undertake regular field surveys to enhance understanding of local community assets and inform appropriate policies. 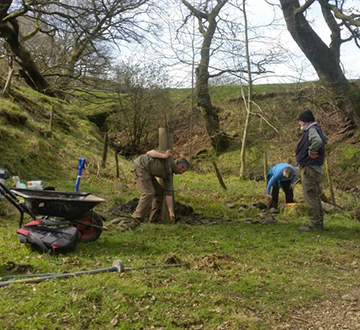 Conditions of use: If an asset is part-controlled by local authority, ensure that conditions of use and development do not constrain community use. Transferring public service delivery from the state to private, voluntary and community organisations has been a feature of government policy since the 1980s, under administrations of both left and right. The assets agenda has been driven in the UK by a combination of devolution, civil renewal, the contracting out of public services and supporting sustainable community organisations. Increasingly it is also heavily influenced by the withdrawal of public funding from certain local services, for example, libraries and swimming pools, which has led to communities taking them over in order to ensure they can stay open. 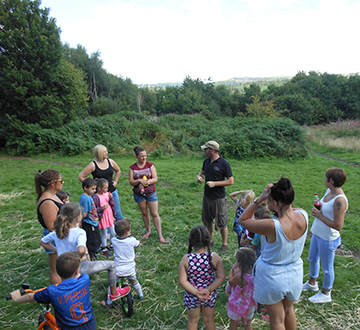 Community assets begins to feature in sponsored area-based regeneration initiatives, both as a route to employment and as a means of tenant control over management of social housing. Public policy commitment to support Asset Management Organisations (AMOs) accelerates. In England, the £2 million Adventure Capital Fund (ACF) is established with government. Futurebuilders programme commits £155 million to loans in order to increase the capacity of third-sector organisations to engage in public service delivery. In Scotland the Land Reform Act is established. Big Lottery Reaching Communities funding programme is launched. Launch of a £30 million Community Assets Fund to enable community based organisations to take control of publicly owned assets. The Quirk Review marked a significant step towards more formalised guidance and support for local authority and community asset management. Big Lottery Community Assets Programme and Community Builders is established. In Wales the Community Asset Transfer programme is set up. The Opening Public Services Bill and The Localism Bill are introduced, contributing to the growing trend towards outsourcing public services. The Localism Act and Changes to Neighbourhood Planning (Schedule 9) come into place. This amends the Town and Country Planning Act (1990). Big Society Capital is set up and provides working capital for buying assets. The Assets of Community Value (England) Regulations introduced. They cover the procedure for listing land at the local authority that is of community value and the procedure for reviewing and appealing decisions to list land. The regulations also set out what land cannot be listed as being of community value and contain provisions on compensation and community interest groups. Public Services (Social Value) Act is introduced. Requires people who commission public services to think about how they can also secure wider social, economic and environmental benefits. More recent government accounts tend to underline the instrumental aspects of the role of the voluntary sector as ‘providers of public services,’ such as the Cabinet Office (2015) Policy paper 2010 to 2015 government policy: social enterprise. ‘Ownership’ of land was organised tribally and communally, was temporary and contingent, and served collective needs. The church, monarch and nobles extended their rule through the ownership of estates and monasteries amassed wealth by means of agriculture and trade. The underlying inequality of ownership contributed to simmering unrest and occasionally, open rebellion, notably the Peasants Revolt of 1381. From 16th to 18th centuries, feudal patterns of ownership broke down. Many church lands were redistributed to landlords as part of the Reformation. Property ownership became associated with individual freedom and liberty. In the 19th century, processes of industrialisation and urbanisation intensified poverty and inequality. As social problems extended into the 20th century, municipal and state ownership became more prominent. During the immediate post-war years, state ownership was the primary means of providing universal welfare services and controlling the economy in the common interest. Certain industries were nationalised, including many hospitals, railways and the mines. This was undermined from the 1980s when a renewed faith in the effectiveness of the free market led to the privatisation of public assets such as housing and nationalised industries. More recent policy interests indicate a revived interest in community control. Assets are being transferred from public ownership to communities and the voluntary sector is playing an increasingly significant role in public service delivery. Aiken, M., Moran, M., Taylor, M., 2015. Always look a gift horse in the mouth: community organisations controlling assets, ISTR. Aiken, M., Cairns, B., Moran, R., Taylor, M., 2011. Community organisations controlling assets: a better understanding, Rowntree Foundation. Aiken, M., Cairns, B., Thake, S., 2008. Community ownership and management of assets. A review of evidence on community organisations owning or managing assets, including buildings and land, Joseph Rowntree Foundation. Carpentier, V., Crook, D., Woodin, T., 2010. Community and mutual ownership: a historical review, Joseph Rowntree Foundation. Here we share our learning about how to make collaboration and partnerships work.